This is the seventh in a series on influential figures in the Heisei Era, which began in 1989 and will end when Emperor Akihito abdicates in April. In Heisei, Japan was roiled by economic excess and stagnation, as well as a struggle for political and social reform. This series explores those who left their imprint along the way. “It’s a beautiful night for moon-viewing, isn’t it?” the character Tamaru says to the female assassin Aomame in Haruki Murakami’s novel “1Q84” (2009-10) as they flit in and out of dialogues. Aomame has visions of an alternative reality that causes her to see not one, but two moons, and takes exception to anyone who suggests that there is just one moon in the sky. The fact that nouns are not distinguished into singular and plural in Japanese adds a sense of ambiguity about the number of moons being discussed. Japanese tend to express their inner heart in highly disguised and subtle forms. For the reader with a knowledge of Japanese literary history, the line “It’s a beautiful night for moon-viewing, isn’t it?” is a signifier of deeper thoughts about love. Kenzaburo Oe may have won the Nobel Prize in 1994, but it was Murakami, not Oe, who would capture the world’s imagination as Japan’s leading writer in the Heisei Era, which will end with the abdication of Emperor Akihito at the end of April. 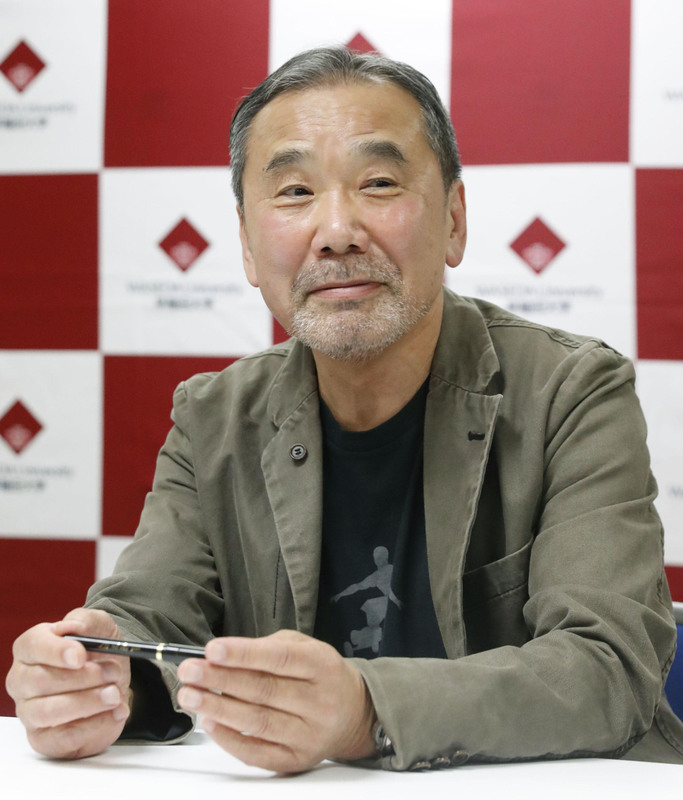 In Japan, it was the runaway best-seller status of “Norwegian Wood” (1987), his wistful tale of crushed innocence and young love that sold more than 4 million copies in Japanese alone, that established Murakami’s iconic status. 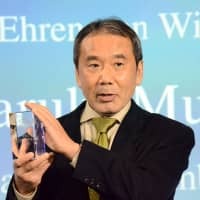 But in the West, it was not until “The Wind-Up Bird Chronicle” — thought by many to be Murakami’s masterpiece — published in Japanese in three installments in 1994 and 1995 and translated into English in 1997, that Murakami became established as a leading Japanese author on the world stage. Motoyuki Shibata, a professor emeritus at the University of Tokyo and frequent collaborator with Murakami on his numerous translations of American literary classics into Japanese, talks of Murakami liberating Japanese literature from the “formidable seriousness” of traditional writers such as Yukio Mishima and Yasunari Kawabata and opening the door to a diversity of other voices. Murakami’s early prose read as if it was translated into Japanese from English and sometimes it was: He famously started writing the opening page of his first novel “Hear the Wind Sing” (1979) in English. Shibata relates how popular Heisei writers, such as Yoko Ogawa, felt they had been “injected with the right kind of oxygen” when reading his highly energized prose, switching back and forth between reality and fantasy and treating Japanese as if it was a musical instrument. Other notable modern authors such as Mieko Kawakami, Hideo Furukawa and Ko Machida are all, Shibata argues, major beneficiaries of Murakami’s radical experiments with language and style. Murakami is frequently misunderstood — usually by those who don’t actually read him — as a purveyor of light and whimsical writing that can be readily digested by readers around the world because he channels, in a quirky Japanese context, the influence of favorite American authors such as J.D. Salinger, Raymond Chandler and F. Scott Fitzgerald. However, to see Murakami in such a way — as a product of the nation’s ever-growing globalization and Americanization through the late Showa (1926-89) and Heisei (1989-2019) eras — is to see only one moon in the sky, without realizing that burning bright in the same skyscape of his pages is another more redolent moon, the moon of a writer profoundly engaged with Japan’s political and cultural history and in intense dialogue with key Japanese writers from previous eras. “Must a writer automatically jump into bed with his era like a whore?” Yukio Mishima fulminated in the 1960s, while offering spirited artistic resistance to the bland, economy-first conservative consensus and its alliance with American geopolitical interests. Mishima lurked as the dominating spectral presence in Murakami’s early writings. Where Mishima took the Japanese language to an extreme of complex sophistication and beauty, Murakami reactively took his own language back to an Ernest Hemingway-esque sparsity and seemingly removed all Japanese cultural references. Oe tutted of Murakami’s early fiction that it could be set anywhere. Yet it soon became clear that Murakami and Mishima actually have many points of similarity. 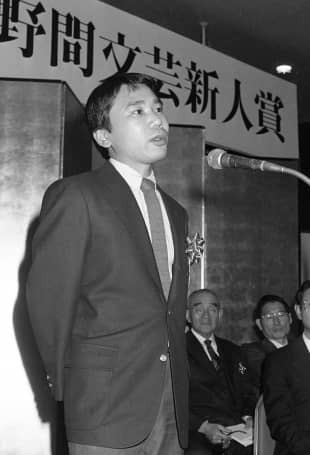 Moving into the Heisei Era, with the publication of “The Wind-Up Bird Chronicle” Murakami proclaimed a shift in position from “detachment” to “commitment,” accelerated by his contemplation of the Great Hanshin Earthquake and the sarin gas attack in the Tokyo subway system by the Aum Shinrikyo cult, both in 1995. Murakami threw himself into journalistic investigation of the gas attack victims and in “Underground” (1999) uncovered the dark underbelly of modern Japan: people disillusioned with materialism, disaffected and disconnected to a true sense of self. From 2000, Murakami recast himself as a modern-day Charles Dickens, exploring the convoluted connections of modern society and the quirky characters contained within it. “Kafka on the Shore” (2002) is Murakami’s modern-day updating of “Bleak House,” intertwining a first person and third person narrative in a process of quintessentially Dickensian “labyrinthine mystification.” If Dickens was a major influence on Czech author Franz Kafka and his satirical understanding of impenetrable social institutions, Murakami gave Dickens a Freudian, psychological twist, locating the mystifying labyrinth within the dreams and minds of the characters themselves. Murakami in the Heisei Era also began to burrow back further into the roots and special characteristics of Japan’s modernity. In “Kafka on the Shore,” you can detect the strong influence of Ryunosuke Akutagawa, the Taisho Era (1912-26) writer who complained of “a vague unease” before killing himself. Murakami writes about 16 boys who have mysteriously fallen unconscious in a grove during the war, the accounts of which are told from multiple witnesses in clear homage to Akutagawa’s story “In a Grove” — later adapted by Akira Kurosawa into the film “Rashomon” (1950). 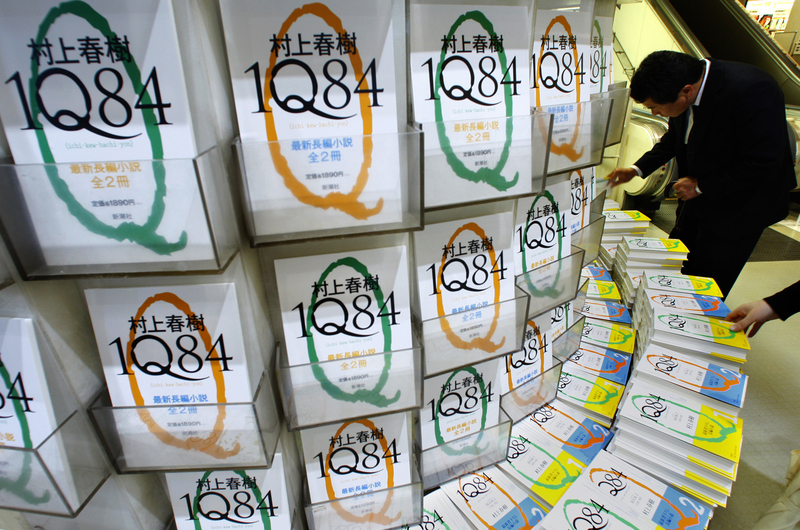 Meanwhile, Murakami detailed the flight across Japan of a 15-year-old narrator. Referencing Soseki’s novel of youthful wandering, “The Miner” (1908), Murakami’s protagonist reacts to his existential crisis by reading the Meiji Era novelist’s complete works. Having once appeared as a disaffected hipster and purveyor of international cool, the aging Murakami of the Heisei Era has effected a quintessential “return to Japan,” repeatedly mulling the lingering trauma of the nation’s wartime past, be it the horrific experiences of the Kwantung Army in Manchuria detailed in “The Wind-Up Bird Chronicle” or the effects of violence on those who witnessed the Nanking Massacre in “Killing Commendatore” (2017). This begs the question: Is history — taught through textbooks in a standard, agreed account of the past — actually something that can only be understood relatively, like the mysterious murder in a grove in Akutagawa’s famous story? As future generations consider the meaning of Japan’s steps into a globalized future, as well as the ever-deepening mining of a collectively traumatized past, more people are likely to open their eyes to the second, distinctively Japanese moon moving across the sky of Murakami’s imagination. Since 2006, Haruki Murakami has written introductions for two novels by Natsume Soseki (“Sanshiro” and “The Miner”) and a collection of short stories by Ryunosuke Akutagawa (“Rashomon and Seventeen Other Stories”) published by Penguin Classics. In his introduction to Akutagawa’s stories, Murakami declared that his favorite modern Japanese writers were, in order: Soseki, Junichiro Tanizaki and — “at some distance” behind — Akutagawa. 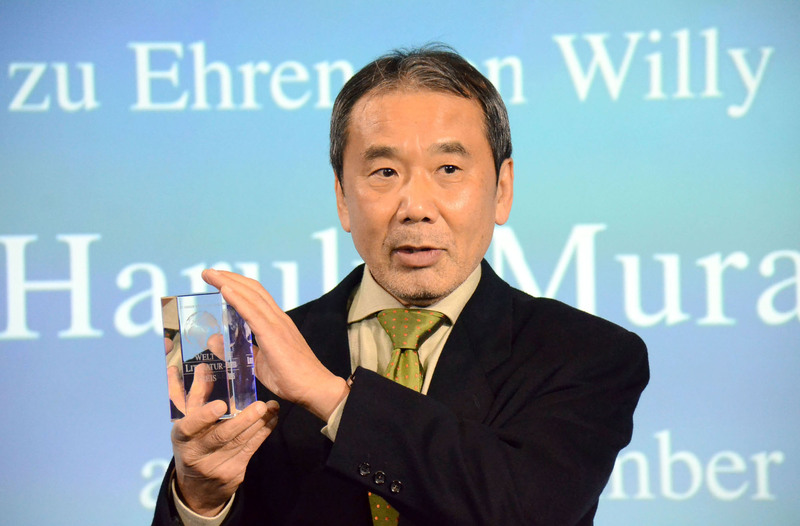 Asked what he thought about constantly being named a front-runner for the Nobel Prize in literature, Murakami responded, “It’s not a horse race!”, echoing Soseki’s famous advice to Akutagawa in a 1916 letter to not be a horse racing against others, but a stubborn ox plodding resolutely forward on its own.